Birthdate 4 May 1881 from tombstone. Lester Allen's book shows John M Councilman is son of Milo Councilman and Martha J Welch. Died at Keller Nursing Home in Sanford after a 4 month stay. Tombstone says "John M Councilman May 4 1881 June 12 1965". 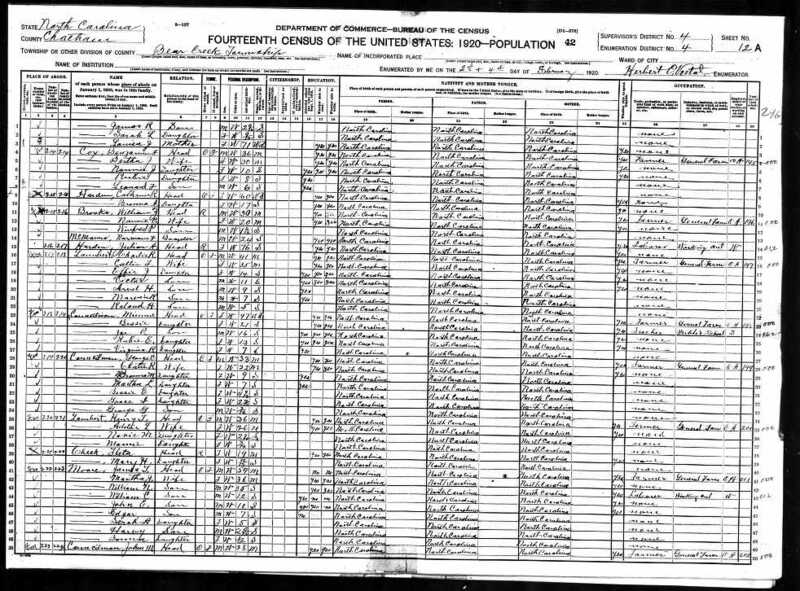 Burial date 15 Jun 1965 from family group record provided by Odell Councilman. 2. Appearance in Document: Transfer Quaker membership to Holly Spring, 6 Apr 1889, Prosperity Prep Mtg, Moore County, North Carolina, United States. 418,419 Milo Councilman and wife, Martha J., and minors, John, Ella and George, members of Prosperity Preperatory Mtg, transferred with that mtg to Holly Spring Mtg. "Cane Creek Mo Meeting held 4 mo 6 1889 ... Prosperity Preparative meeting, composed of the following members, viz Robt Paschal, Milo Councilman, John W. Shelds, Jeremiah Finnison, Thos. W. Phillips, Zacharias Boroughs, Wm. Hill, Martha J. Councilman, Elizabeth Finnison, Lydia Shields, Margaret Brady, Sallie Cole, Ellen Finnison, Margaret Phillips, Esperann Phillips, Mary Brady, Annie McInstosh, Anna Boroughs, Isablla Moon, Ida Finnison, Ellen Brady, Sallie Deaton, minor members John Councilman, Ella Councilman, Geo Councilman, Jas E. Philips, Perley Philips, Martha A. Philips, after due deliberation requests a certificate conveying their right of membership to Holly Spring Monthly meetg on account of th edistance being much shorter. After deliberation the request is granted and a certificate as per request is signed on behald of meeting by clerks." 9) Councilman, Emma, daughter, born Nov 1899, age 6/12, born NC, parents born NC. 6) Councilman, Melvin, son, age 0/12, born NC, parents born NC. 11. 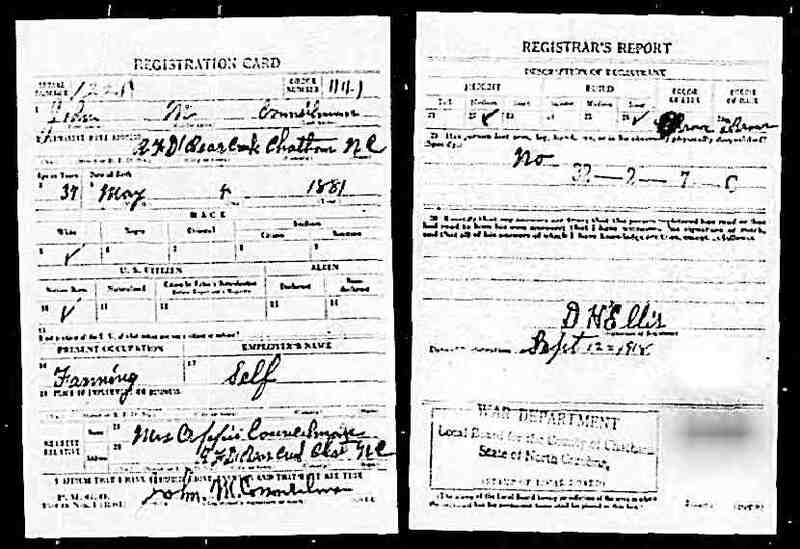 Residence: WW1 Draft Registration, 12 Sep 1918, Bear Creek Twp, Chatham County, North Carolina, United States. 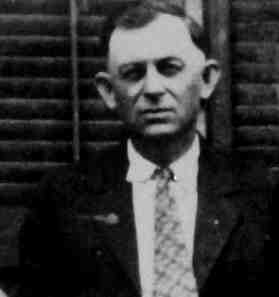 4071 John M. Coucilman, RFD 1, Bear Creek, Chatham Co, NC; Born May 4 1881; Farming for self; Nearest relative Mrs. Oppie Councilman of same address; Medium height, stout build, brown eyes, brown hair. Signature John M. Councilman. 9) Councilman, Sarah M., daughter, age 9/12, born NC, parents born NC. 17. Story: Stationery, Cir Oct 1920. 404 The attached image is a copy of the stationery being used by J. M. Councilman in late 1920. This was included in the Estate Files of Milo Councilman, for whom J. M. Councilman was administrator. 18. 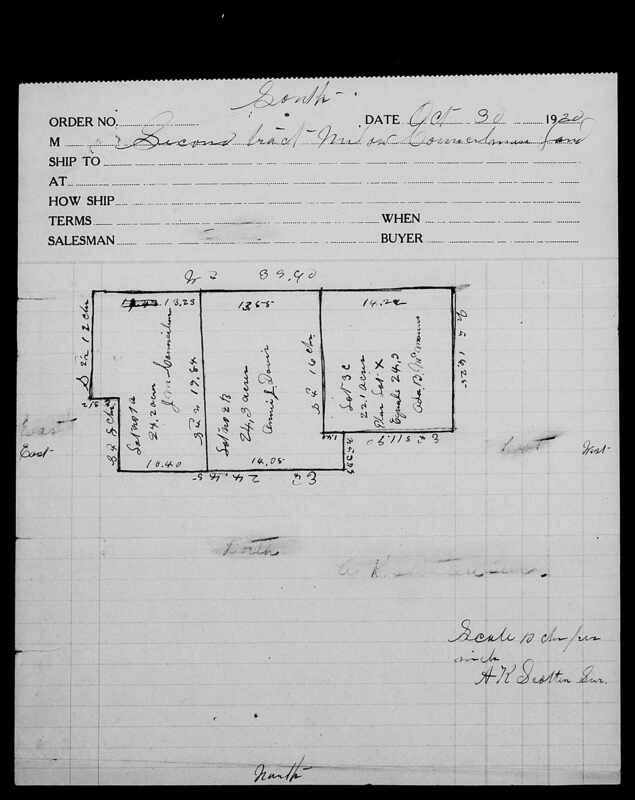 Property: Receives 24 acres from Milo Councilman estate, 30 Oct 1920, Chatham County, North Carolina, United States. 404 Commissioners for the estate of late Milow Councilman allocated 24.2 acres to J. M. Councilman (Orders and Decrees, Book F, pp445-447, in Office of Clerk of Superior Court for Chatham Co) This is Lot 1A of the divided Milo Councilman tracts. On 15 Nov 1924, J. M. Councilman and Oppie his wife sold the same two tracts to Earl Smith for $1600. 25. Story, 1927. I have a photograph of John and Oppie and all their children, taken spring 1927. I have a later photograph showing John at Bonlee with children Howard, Martha, Ledford, Lester, Marie, Osborne, Marvin, and Charlie. 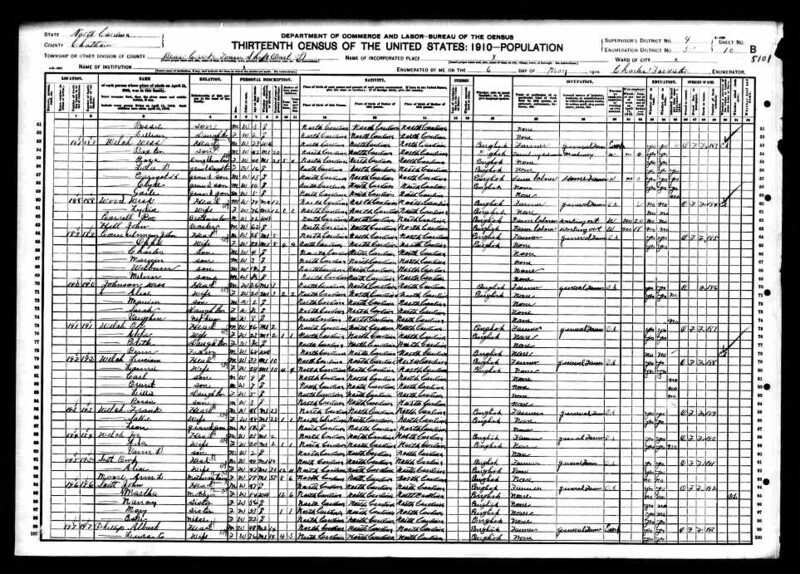 10) Councelman, Lester D., son, age 3 1/12, born NC, parents born NC. 7. Councilman, Lester, son, age 12, attends school, completed 5th grade, born NC. 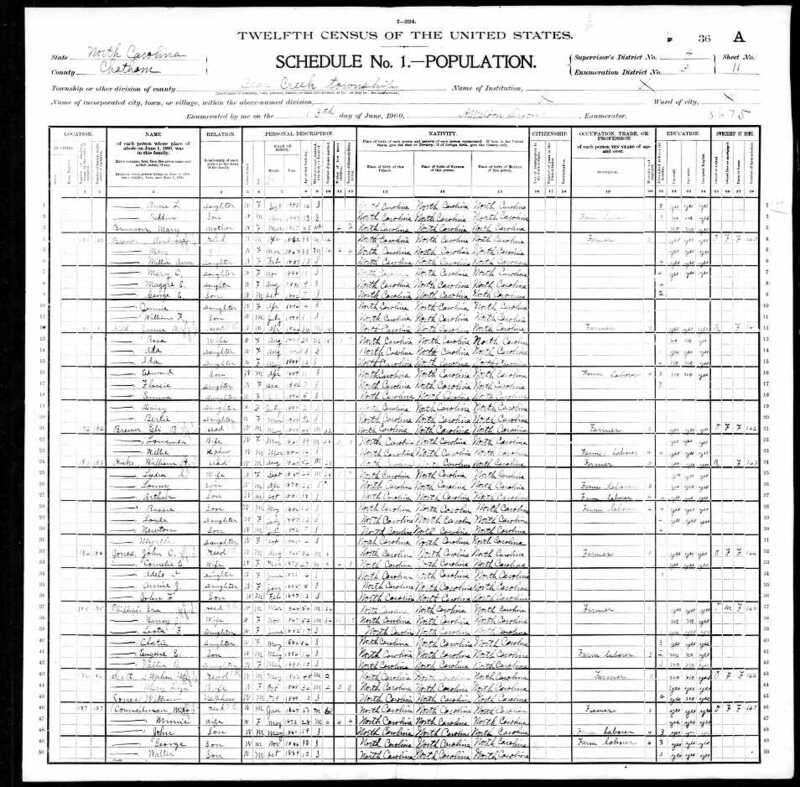 The census page says "Lines reserved for absent members of household who did not return and were unumerated elsewhere", and leaves 3 empty lines. 29. Residence, 1965, Bonlee, Chatham County, North Carolina, United States. 3853 John Manley Councilman's usual residence was general delivery, Bonlee, NC when he died on June 12 1965. 30. Occupation: Salesman and Store Owner. Owned store in Bonlee. Was traveling salesman before that. Store had counter and stools were people could eat what they bought. General store, mostly groceries. 1. 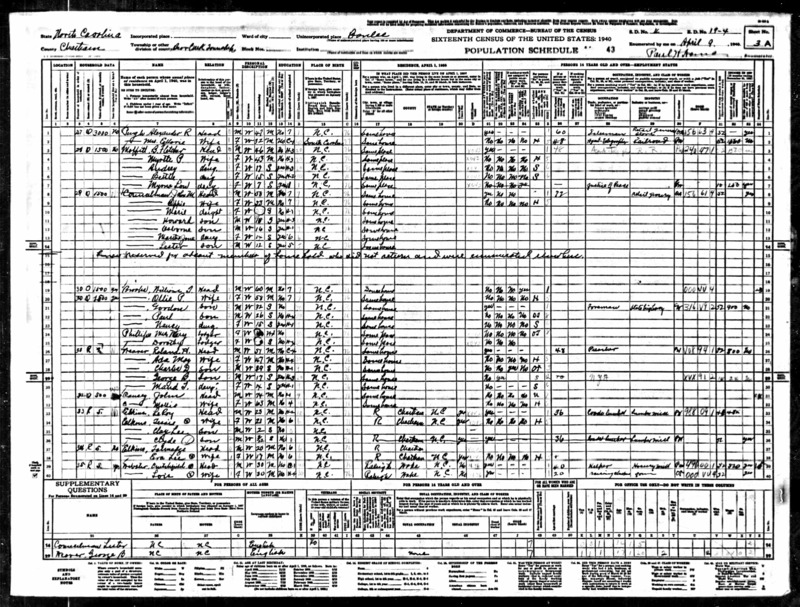 Marriage, 8 Jan 1905, Bear Creek Twp, Chatham County, North Carolina, United States. 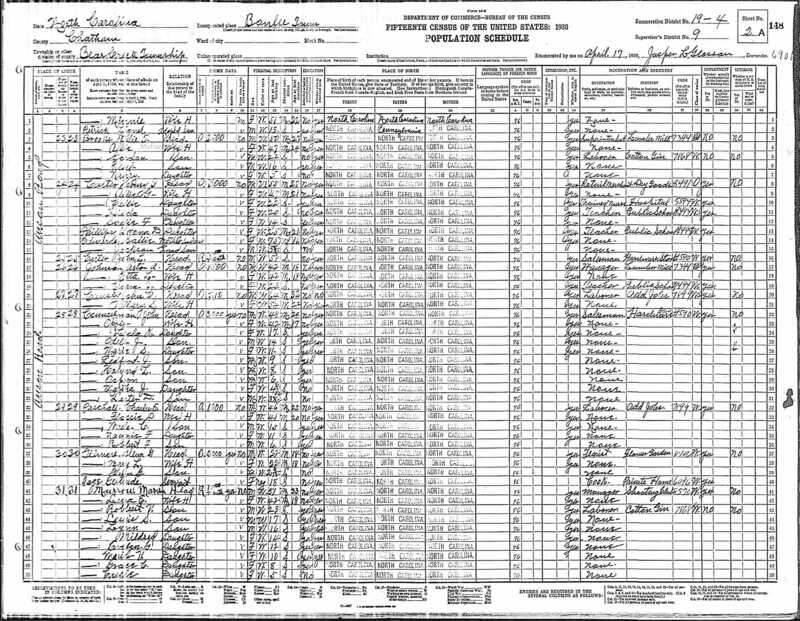 4063 John M. Councilman married Oppie Beal. 2. 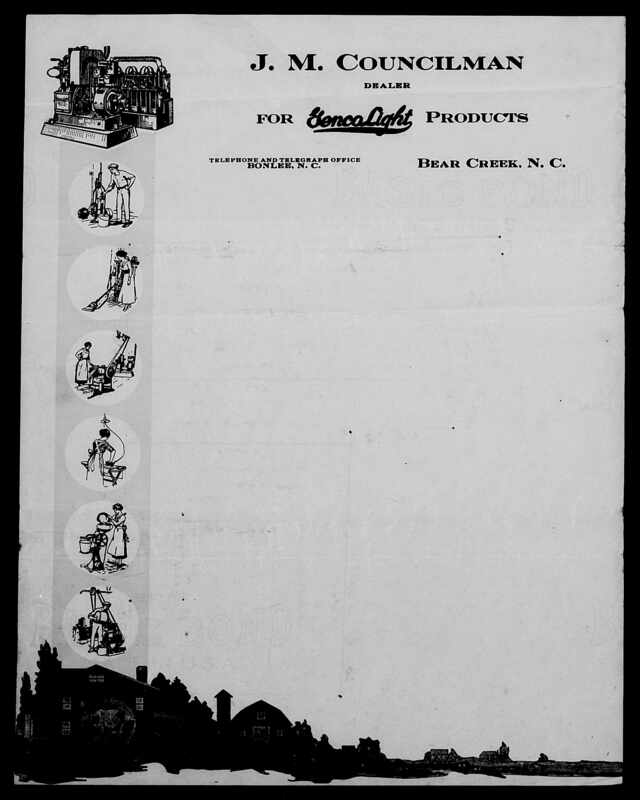 Marriage: Bear Creek Twp, Chatham County, North Carolina, United States. Married at the Beal home.